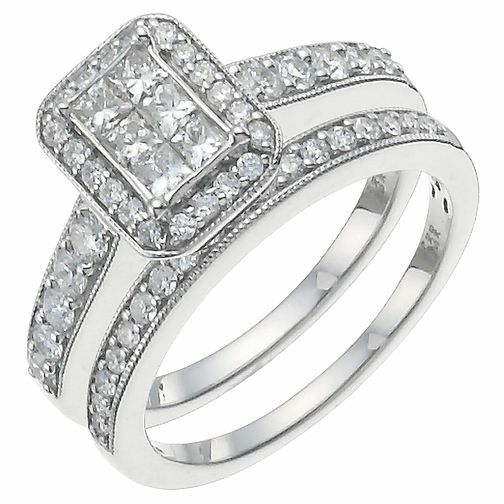 An extravagant 1ct platinum bridal set, adorned with sparkling diamonds totalling 1 carat. A stunning rectangle halo cluster centrepiece, set on diamond encrusted shoulders. Paired with a simply desirable platinum ring.